We may take it for granted, but water on demand is a luxury. With a simple turn of the tap, we shower, bathe, quench our thirst, cook our food and keep everything clean. But for far too many girls and women, water is a lifelong burden. Girls and women around the world spend 200 million hours a day gathering water. In 8 out of 10 homes without running water, it’s the girls who spend hours every day lugging heavy containers over rough terrain. They are often alone and at risk of attack or even kidnapping. Time spent collecting water is time away from school — denying girls a chance to build a better future. Even girls who manage to fit learning into a day filled with household chores can easily fall behind because one in three schools lack the toilets they need once they hit puberty. Absenteeism among girls during their monthly periods becomes yet another barrier to education for girls already facing huge obstacles. Once they grow older, girls face a life of caregiving made far more difficult by the lack of clean, safe water. Contaminated water causes illness for all, but it’s women and girls who care for the sick — especially during emergencies when damaged water supplies and compromised sanitation take a heavy toll. For millions of women and girls, water is a problem. But UNICEF has solutions: time-tested, effective programs to bring safe water and sanitation to entire communities — and to set girls free. Help UNICEF help girls and women around the world by providing easier access to safe water. Take a 360° tour of Uganda and meet Sylvia. 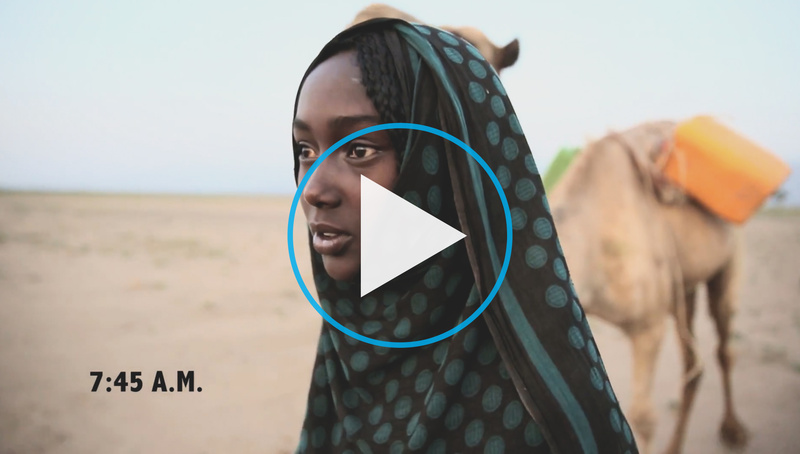 Learn about her strength and hopes as she struggles to find clean water. Join us as we support the education and empowerment of girls around the world. With your help, any girl can be a supergirl. Learn about the Water Burden girls and women face, and how you can get involved. You and UNICEF can make a difference! 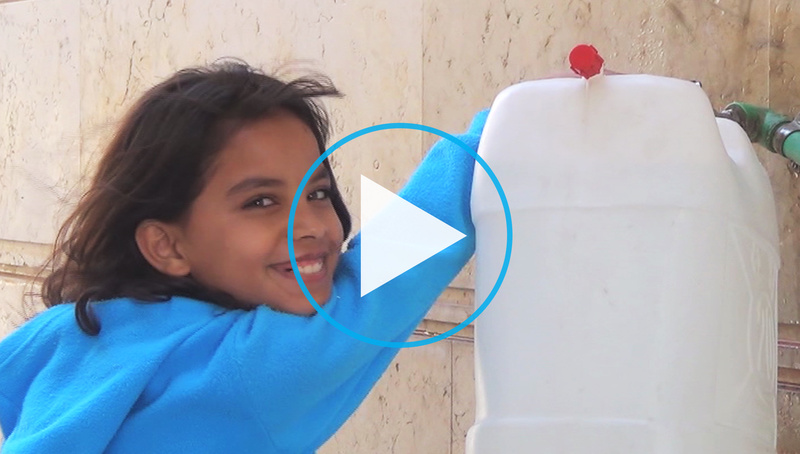 Click to watch Aysha's story! 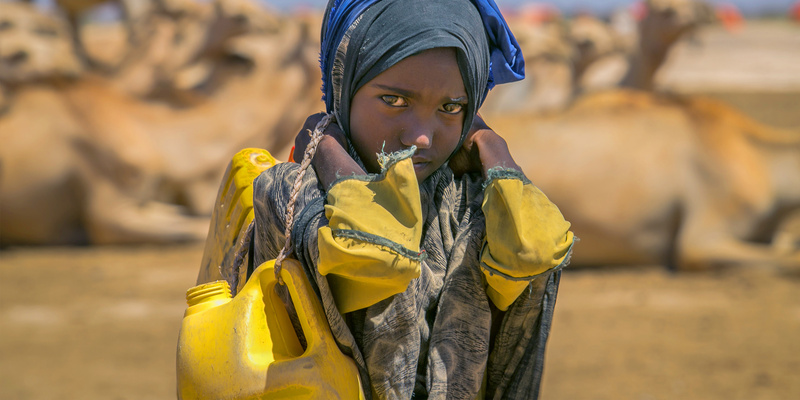 Thirteen-year-old Aysha lives in Afar, Ethiopia, where she devotes her days to a solitary hunt for water. Tag along with her as she and her camel make the daily eight-hour trip to collect water for her family. Rosemaine's brother contracted cholera after drinking contaminated water. But UNICEF gave Rosemaine a way to make sure no one else would get sick again. 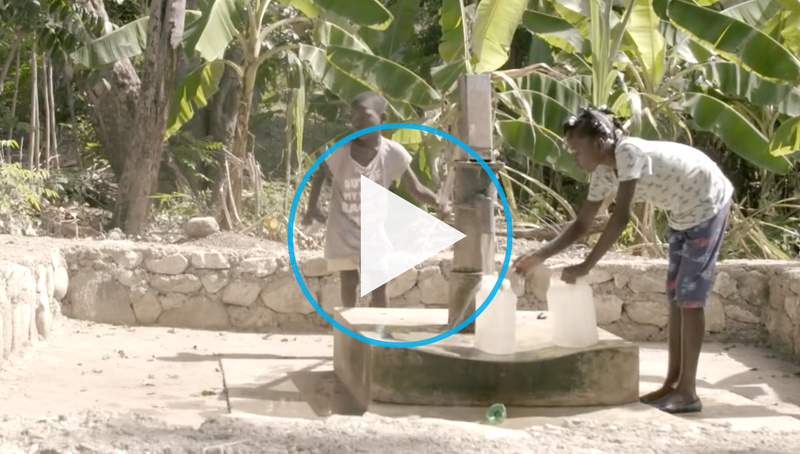 Watch Rosemaine fight for her family as she learns how to keep them — and their water — safe. Click to watch Rosemaine's story! Click to watch Hiba's story! After shelling and bombing drove 10-year-old Hiba and her family from their home in Homs, Syria, the burden of collecting water fell to her. UNICEF and partners restored the water treatment plant in Bentiu, South Sudan, with life-changing results for the community. Learn how UNICEF helped thousands of children in Guinea get clean water — safely and without fear. This World Water Day, purchase a UNICEF Inspired Gift to send lifesaving water supplies to families and children in need. Improved water, sanitation and hygiene systems are changing lives for the better in Madagascar, with support from UNICEF and S'well. Since 2017, Beyoncé's BeyGood4Burundi and UNICEF have been working together to bring safe water to the most vulnerable children of Burundi. Good sanitation helps keep people healthy and safe. Last year, UNICEF and partners provided more than 11 million people with basic toilets. The simple act of handwashing prevents infection, stops the spread of disease and improves educational outcomes — especially for girls. Our #BeyGood4Burundi & UNICEF Infographic shows why women and children urgently need safe water and how, together, we plan to help them.